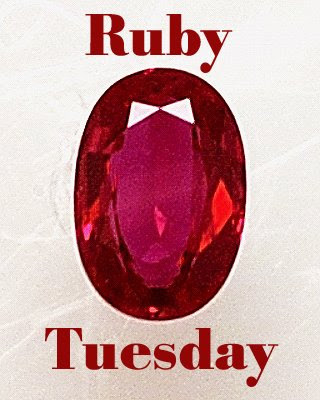 If you are unfamiliar with RUBY TUESDAY, then you must head on over and visit Mary/The Teach. This is the original picture so y'all can see I did not add the head. OK, yesterday Dana commented "I am a HUGE fan of music that steps out of the -oh-so-common 4/4 time signature. I really enjoyed this one!" Well, that got me thinking Billy Cobham or The Mahavishnu Orchestra, but I have not gotten that far along on my digitizing. He is Roger Waters. Ummagumma was a two disc set. The first disc is composed of live performances, including the brilliant "Be Careful With That Axe Eugene". The second disc allowed each musician a chance to go into the studio and record something. The track consists of several minutes of noises resembling rodents and birds simulated by Waters' voice and other techniques, such as tapping the microphone played at different speeds, followed by Waters providing a few stanzas of quasi-lyrics in an exaggerated Scottish brogue. The Picts were the indigenous people of what is now Scotland that merged with the Scots. There is a "hidden message" in the song at approximately 4:34. If played at a slower speed, Waters can be heard to say, "That was pretty avant-garde, wasn't it?". Also, at the very end of the rant, Waters is heard to say "and the wind cried Mary", followed by "Thank you". Some will find this the worst thing they have ever heard, some might not care either way and a smaller group will enjoy it. Some will call for the straight-jacket brigade to visit Memphis! "Several Species of Small Furry Animals Gathered Together in a Cave and Grooving with a Pict" YUP! That is the full title of this composition. Lifelogger is being itself and acting funky. Sometimes I see the player, sometimes I do not. Normally reloading the window will fix it. (Live on Tuesday July 8th at 9PM ET and forever archived at BlogTalkRadio. Jon Kelley, host of ABC’s hit reality series The Mole will stop by the Radio Happy Hour. We’ll get insight into the inner workings of the game, his role in the intrigue and we’ll use “extraordinary rendition” to get him to reveal who the mole is to us. We’ll also talk sports with Kelley who was a star running back for the Nebraska Cornhuskers and covered all six Chicago Bulls world championships for WMAQ-TV in Chicago. Then, band Phoenix Block visits Dr. B and Dangerous Lee. They’ll fill us in on their August 1st album release and their connection to the Barack Obama presidential campaign. Also, renowned psychotherapist Dr. Robi Ludwig will help us analyze what turned out to be the final interview conducted by author Thomas M. Disch before he committed suicide just days after appearing on last Tuesday’s show. All that, plus Vinny Bond drags his Big Leather Couch into the Radio Happy Hour Lounge to chat live with the listeners, Justin the Weatherman and we’ll take your calls at 646-652-4804. Actually, that photo in red reminds me of a Chinese paper dragon. I like the pic. I might stay with "Serpent" as the title. It's a bit of a stretch to see a dogs head at mid bark. You really gotta want to see that to make it happen. Ummm...I don't see a dog. I see a blogger who needs glasses. FRED: BUT I had my glasses on! THE TEACH: Are you just saying that or do you really see it??? I love looking at driftwood and stumps and things like that. It's kind of like looking at clouds... if you look long enough you can see all sorts of images. Fun photo. I don't see a dog, but then again, I can't get the picture to enlarge - so it may very well be there. I don't see the dog, but I see a whale tail on the right.....great shot...love the red....Happy Ruby Tuesday! RWA: Wow..not sure why they did not enlarge....Well I will be trying to show the dog tomorrow. I can't believe no one has commented on the music ... it is SO fun!! I see a bearded Dragon lizard... but that is just me. You made my dogs howl. Good Ruby Tuesday Vin "woof woof"! KB: Well at least you see something! Now the right side of that photo kinda looks like a crocodile fixin' to chow down. Um.. no.. she howled because the boy-dog was breathing... they're like an old married couple. I think the dog looks like a Schnauzer. Is Jon Kelley standing at Idaho Falls? Whoa! Those animal noises are completely trippy. Sounds like Alvin and the Chimpmunks towards the end. The Brogue sounds Glaswegian! Ha!